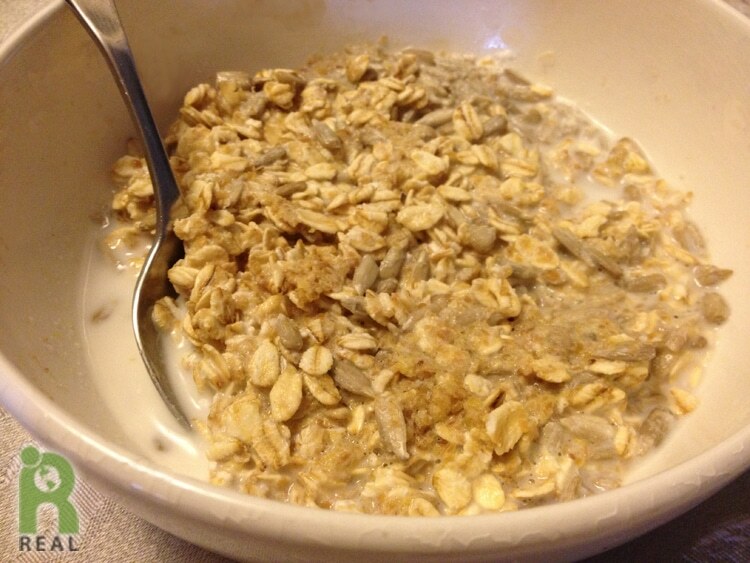 Breakfast: Feeling very hungry and not very creative, cold oats with sunflower seeds, flax seeds and coconut milk hit the spot. Lunch: When I don’t know what to make for a meal I start sautéing onions. I usually get inspired along the way. 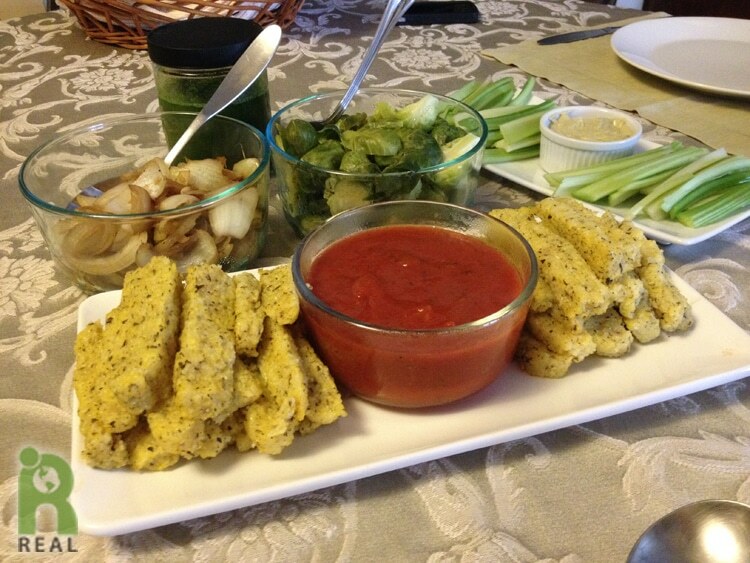 I ended up steaming Brussels Sprouts, made Polenta Fries with a quick tomato dipping sauce, and celery sticks with Seed Caesar dressing. I didn’t need the sautéed onions after all, although they were good mixed with the Brussels sprouts. Dinner: We were invited to our neighbor’s 60th birthday party which was held at Jade Restaurant where we are having our fundraiser in April. 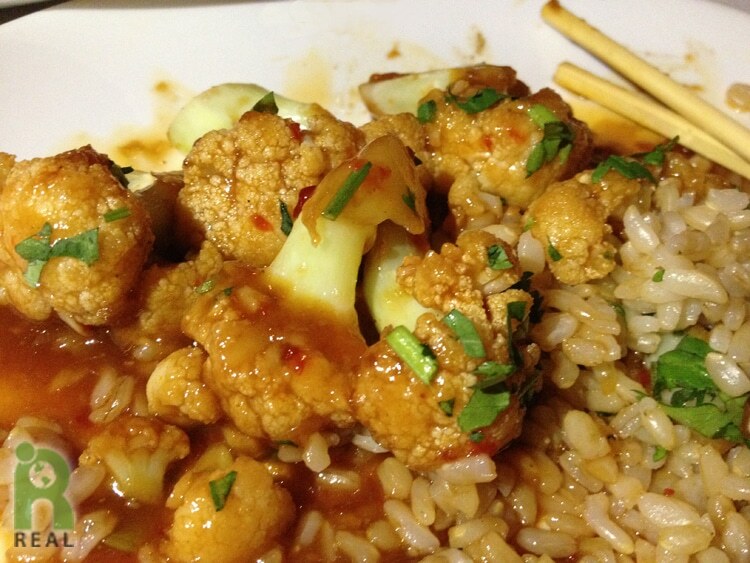 I started with edamame fritters, but didn’t get a picture of them. We were having such a good time, I forgot to take photographs until I was almost finished. 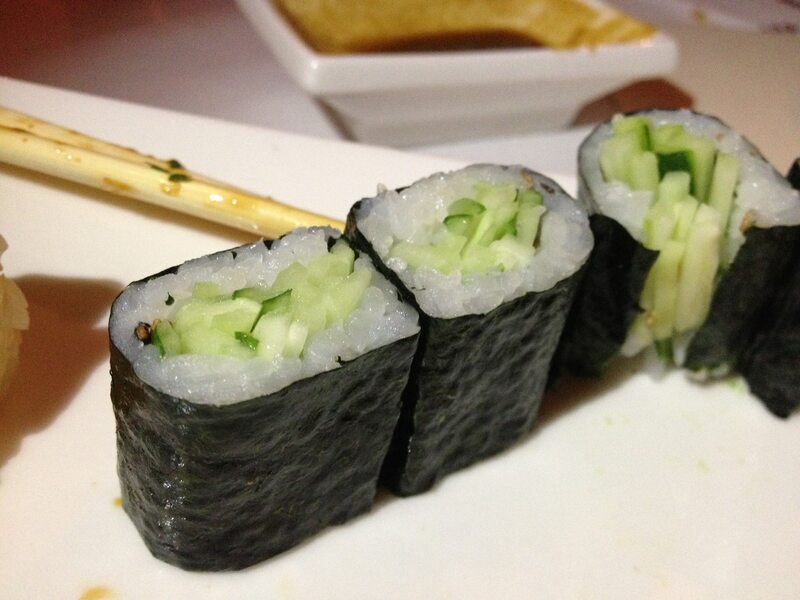 Here are avocado and cucumber maki and Manchurian Cauliflower. And I drank a lot of red wine. It was a party! Evening: When we got home that chocolate sauce I made the day before was calling to me. I had made buckwheat crepes a few days ago and had a lot of leftover batter. It was not the best crepe batter I have made: the crepes were too fragile and I got frustrated with the batter. I let it rest for a couple of days, then added some cocoa powder and sugar (evaporated cane juice) to it and baked little cakes. The result was amazing! 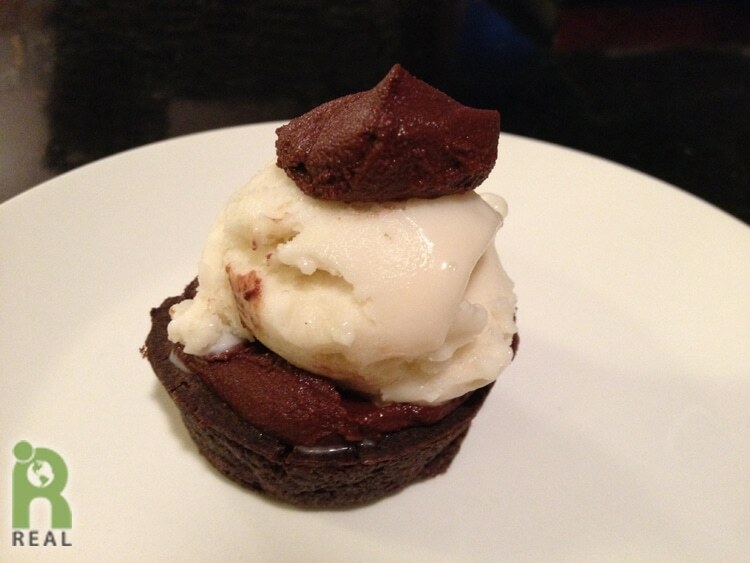 Buckwheat chocolate mini cakes with chocolate frosting and vanilla soy ice cream.